I've always been a huge fan of stacked bracelets. I love a 'busy' arm, and I love buying unique pieces to add to my arm candy. I've been doing stacked bangles for a while now (when I can be bothered), but now that winter is approaching, I'm turning to bracelets for one simple reason - they make it easy for me to put on and remove my jackets and cardigans! Stacked bracelets can give you more of a boho feel, like Taylor Swift's (pictured on the left above), but depending on the bracelets you choose, you can achieve all kinds of looks. Here are some of my bracelet lemmings! Most of the items above are only available via websites like Shopbop and Net-a-Porter or via parcel forwarding, but sites like ASOS and Chamilia ship their brands directly to Australia, which is so convenient! 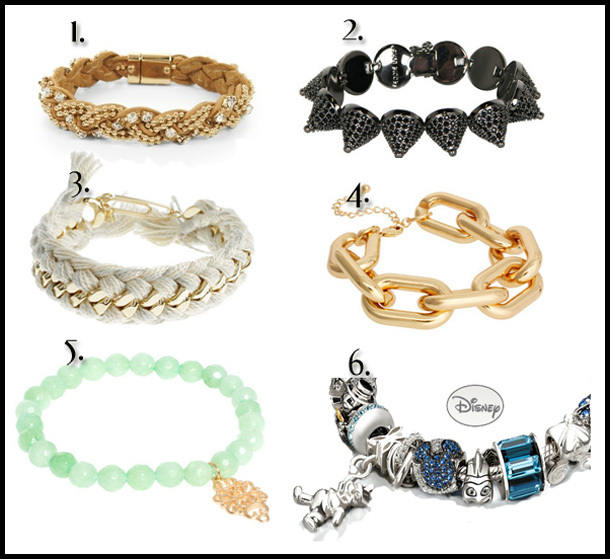 The bracelet that most intrigues me is the Chamilia bracelet - one, because I am a sucker for anything Disney, and two, because it is high quality and you get to choose the charms that you put into the bracelet! Did I also mention that I am a total charmbracelet addict? Their products are pricier than I am used to, so I would probably only get one bracelet. The upside? They are all sterling silver or 14k gold, and the crystals are Swarovski elements or Murano glass. Talk about your luxe charmbracelet! If you want something more boho, they also sell leather bracelets. I am already building one on the website that is really similar to a Marc Jacobs bracelet that I saw a while back. I'm not sure which one I will end up purchasing, though, because that blue Swarovski Mickey charm is SCREAMING out at me!! 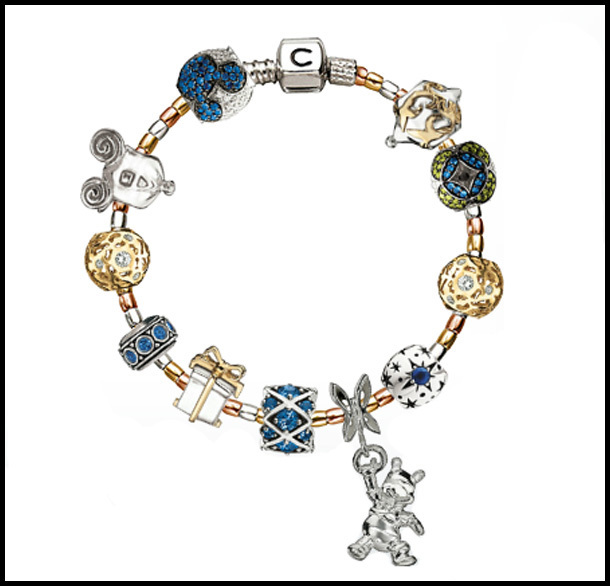 This is the bracelet I built for myself so far - I based it on my favourite Disney characters and used other charms to colour-coordinate to make this gorgeous blue and gold bracelet. I am loving it so far! I love that the website lets you view the bracelet as you are building it - it makes it really easy to see the exact product that you will end up with. What do you think of my bracelet? For more information, visit the Chamilia online store.